Kristen has been with the Agency for four years. She had been in the Army National Guard for seven years and was assigned to go to Kuwait when she found out she was pregnant. She applied to the Agency then and left her military career. Theresa, who as been with the Agency for two years, feels gifted everyday by the people in her life. Alissa, who has been at Big 6 for a short while, may stand to gain the most for her co-workers’ wealth of experience. “I wanted to work in the houses, she said. Deb Lippert, who is a med certified Direct Support Professional II at Seneca Road residence does her job because “she loves the folks!” she said. 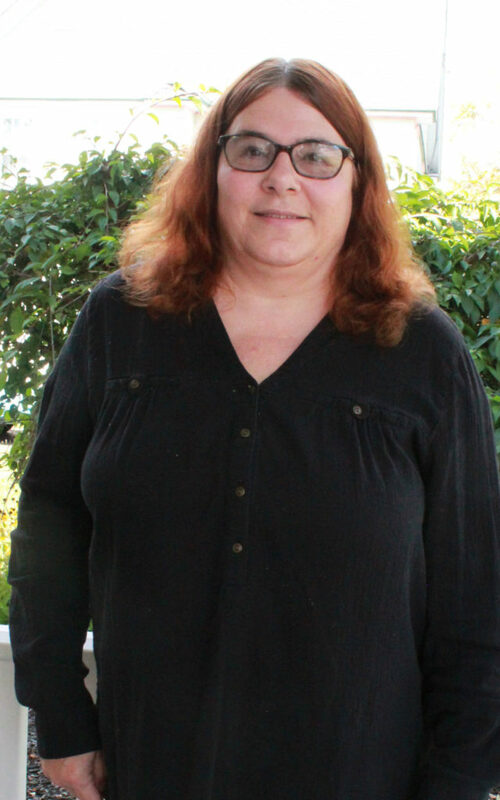 She began working for the Agency about 16 years ago, first at Five Mile and then at South Avenue, where she was a house manager for three years. Then she worked as the Agency’s overnight supervisor before taking a three-year leave of absence due to a back injury. “As soon as I was medically released to return to work, I came back,” she said. Among the things she loves doing with the people is spending time with each of the six residents at the house, one-on-one, and playing games, and going for walks. 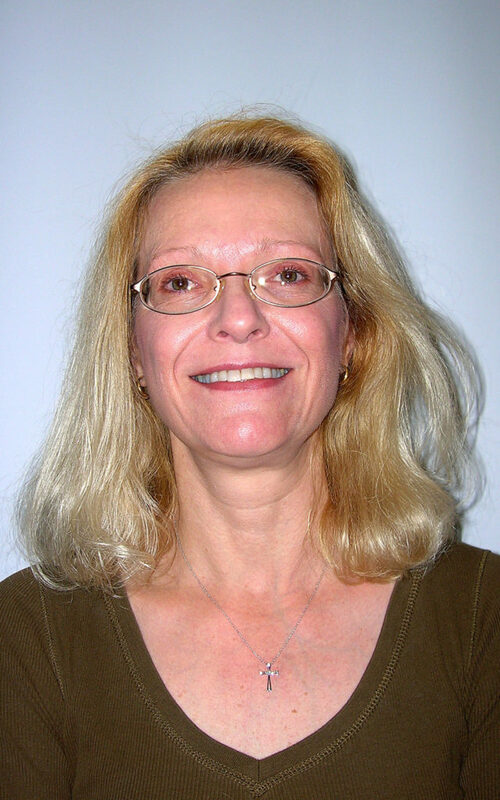 Tami Lapp is a med certified Direct Support Professional II at Little 6 where she supports three men. She has worked with the Agency for 22 years beginning in Continuing Day Treatment at SubCon Salamanca before going to Fall Road where she worked for two and a half years, then, to Buffalo Road, Five Mile, South, Garden along with a couple former Agency residences. She’s been at Little Six for seven years. “I look forward to being with my guys and making them happy,” she said, showing a photo of the three of the men together. “I love seeing them advance. They’re always so happy to see me. They know all my family,” she said, adding the three men get along well and often go on camping trips with her family. Recently, they were on vacation in New York City. Lori Quigley could be nursing in a big hospital, driving a lucrative career rather than at Five Mile Road where she passes out meds, injections and gives treatments. And, she knows a lot about family. As the mother of six children, ages 13 to 23, and grandmother to a seven-month-old, she knows the unique qualities and care that goes into ensuring strong and healthy relationships in a family. 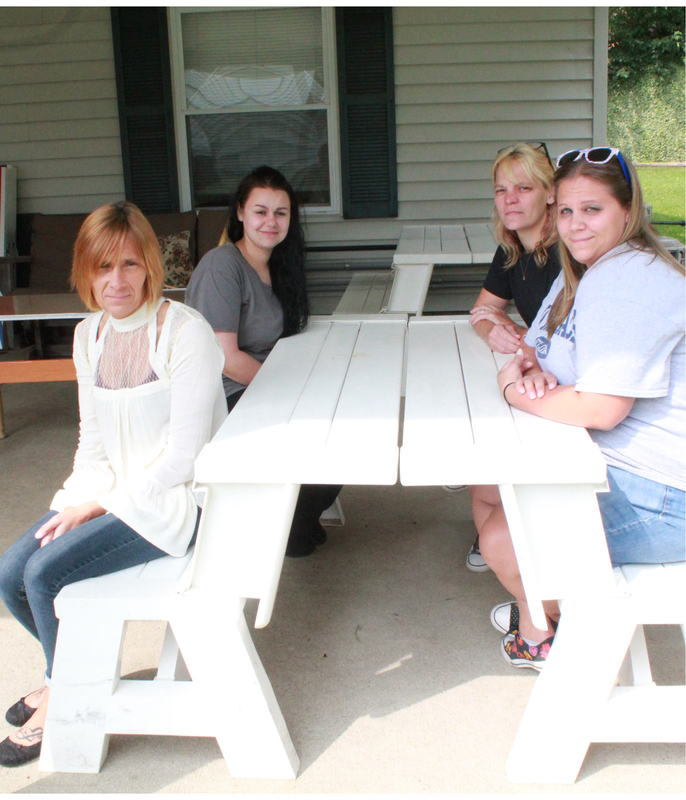 “We are a big family here,” she said, describing the dozen people – most with higher needs – who comprise the Five Mile Road family. 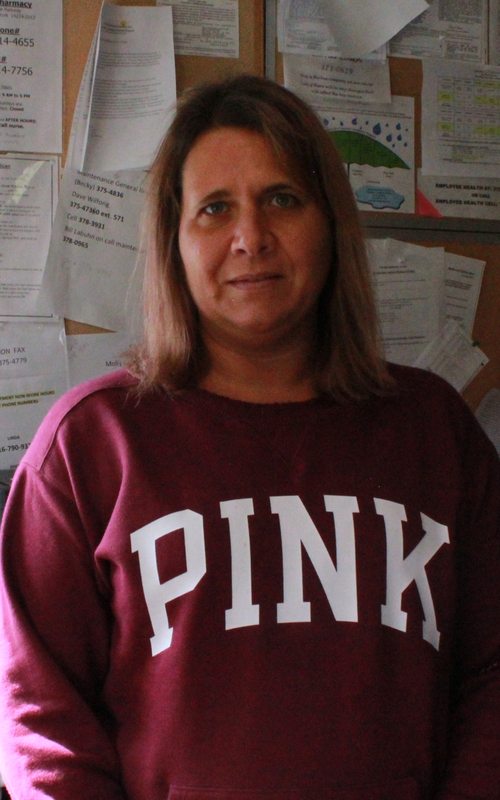 Lori worked at Fall Road for four years before coming to Five Mile Road less than a year ago. 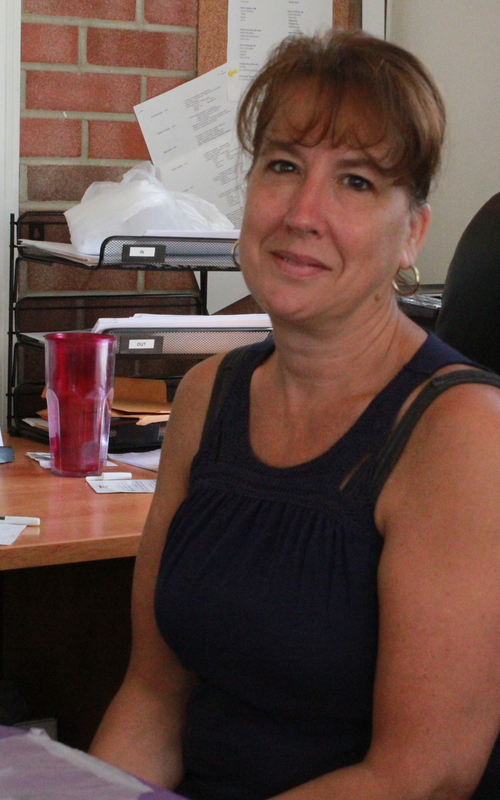 Jeanne Graves is a Direct Support Professional II at the Little 6 residence where she works overnights. She began her 29-year career with the Agency at Buffalo Road, before going to Osgood and then Little 6. “I cherish the day that I walked into the Residential Office on the corner of 3rd and West State St. back in 1988. I met with Linda Manross and Paul Nelson, interviewed for a position and was hired as a CLSI (Community Living Skills Instructor is what DSP’s were called back then), beginning on May 10, 1988. I began working with the people we support, under Linda’s supervision, at the Buffalo Road Residence. I have sooo many fond memories. I am sincerely thankful for the opportunity to work for Linda (and others along the way); I learned so many things and I learned them from the best. Working with the folks has been a marvelous and heartfelt experience that I will forever treasure,” she emailed. Shayla Sands, who has worked for the Agency for more than eight years, is a DSP III Senior at Henley. She considers the people she supports her second family. Her daughter was still in a car seat when Shayla came to the Agency. She has grown up in the homes where Shayla has worked, which include Little 6, Moss, Delaware. She has also worked for med transport liaison. 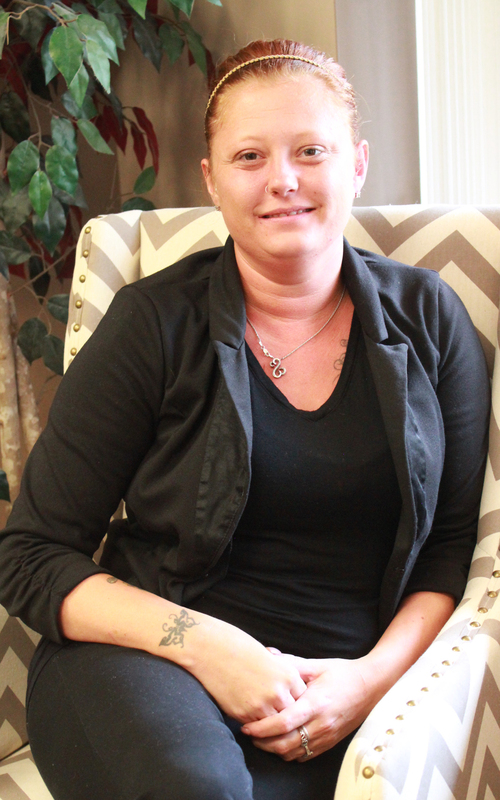 Shayla is responsible for the residence and loves to do home cooking for the people. “The people love the casseroles I make for them,” she said. On a personal note, Shayla and her daughter love to go kayaking, often doing an all day trip down the Allegany from Portville. Brenda Childs returned to her first love supporting people with special needs after close to 20 years away. She had worked at Cuba Memorial Nursing Care in the late 1980’s but left to raise her children. Five years ago, she returned to health care and is a DSP III/SRI at West Fall Road. “It’s so rewarding. You get to make a difference in someone’s day, every day, ” she said. And Brenda is that “certain kind” of person. As the mother of three children with an active eight-year-old granddaughter, she has a caring heart that is passionate about people and helping them feel valued. “This is our “family” and this is their daily lives,” she said.